Made up of nine performers who represent a cross-section of the Winnipeg music and theatre community, Those Guys have built a reputation for dynamic, feel-good performances. 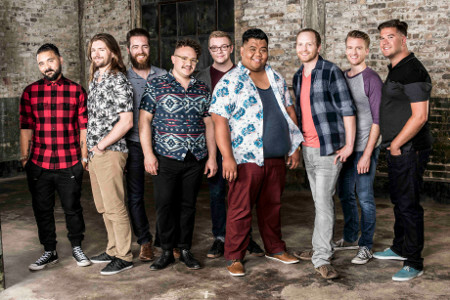 Their repertoire, which ranges from Billy Joel to Bruno Mars, features complex (often original) musical arrangements performed without a single instrument. Those Guys have released three albums, “That Album” (2012), “Live!” (2014), and “This Christmas” (2015). In 2016, Those Guys had the honour of opening for The Nylons during their Farewell Tour.